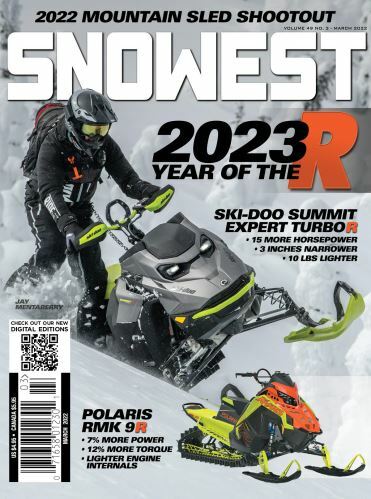 After a successful year of hosting an Amsoil Championship Snocross event at Jackson Hole, WY, last winter, it was no surprise that the Jackson Hole Snocross National, presented by Woodies Racing, returned for another round in early December, 2018. There were a few surprises, however, in store for fans who came to Jackson Hole to watch this season’s event, which was Round 3 and Round 4 of the Amsoil Championship Snocross season. First, the track layout at the base of Exhibition Run at Snow King Resort was a little different than last season’s. The starting line was in the same place—on the far side of the track near South Cache Street. The finish line though, was moved from the side where fans sat/stood to the opposite side of the track. There were plenty of big jumps racers had to navigate/double and/or triple in front of the crowd so that provided plenty of excitement for those who braved the chilly temps during the races. Chilly temps indeed, as a handful of finals, i.e., Pro Am Women, Pro Lite and Pro, started later compared to last year, with the Pro final at 8:05 p.m. both Friday and Saturday night instead of the 6 p.m. start a year ago. Temps were in the teens by that point, which didn’t seem to bother too many fans. Next, Arctic Cat racing phenom Tucker Hibbert retired from snocross racing so that meant there would be some new faces on the podium in the Pro class. Ski-Doo racers made a statement in Friday’s Pro final, not only by sweeping the Podium but winning all top five spots. The Ski-Doo slaying was led by Lincoln Lemieux in first, Adam Renheim in second and Tim Tremblay in third.